Another of the best known Arthur stories is the search for the Holy Grail. This week’s Ten highlights other stories which focus on the search for something lost. Sometimes things get lost on purpose. Take a little Harold and the Purple Crayon, a little Where the Wild Things Are, some glorious illustrations, and a world you’ll remember (and wish for!) 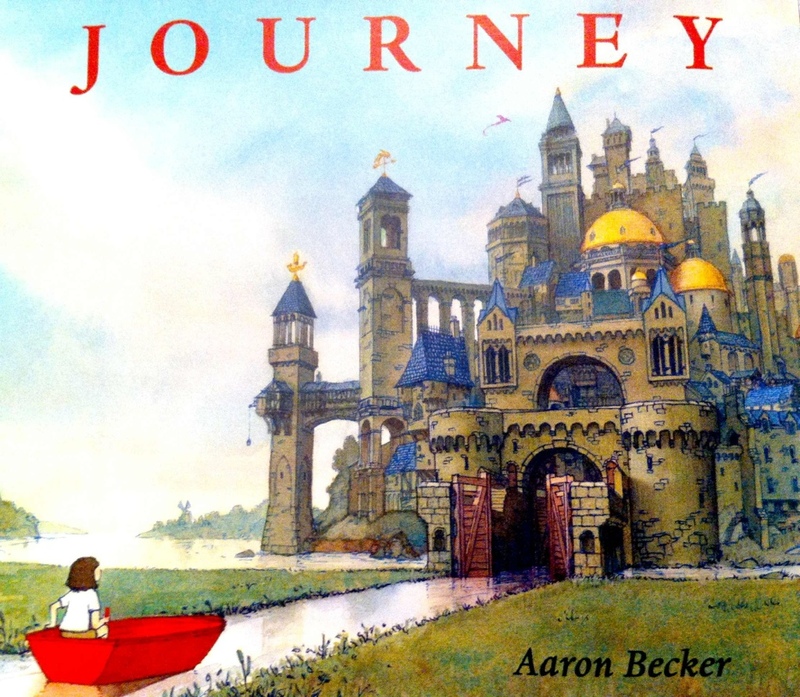 long after finishing the book, and you have Aaron Becker’s wordless picture book, Journey. Tired of waiting for her family to put down their electronics, and for the neighbourhood kids to invite her into their games, Journey‘s protagonist sets off on her own adventure. Red marker in hand, she creates a door that leads her from sepia-toned reality to a grand and richly green forest. When a stream appears, the marker produces a small boat, and when the stream-turned-aqueduct suddenly ends, it provides a hot air balloon in the nick of time. Making (literally) her own way along is only half the adventure, though. While floating above the city in her balloon, the girl notices a purple bird being caught and caged. Abandoning her meandering trip, the girl follows the hunters’ airship, determined to find and free the bird. Accomplishing her task might earn her what she’s wanted all along. It might also cost her everything. I’ve been waiting for Journey since spring, and while I wasn’t disappointed, I was surprised. I’d anticipated something of an update on Harold, and wondered how such a personal journey would come around to the “act of tremendous courage and kindness” described in the publisher’s blurb. While the red marker does play a significant role in the story, the vast, detailed landscapes and distinct contrast between the girl’s travels and her family’s screen-and-cord-bound lives combine to make this a much more outward-focused journey than Harold’s from the start. And while the story is simple, I think that this is another one where rereading and discussing will reveal more to love about Journey every time. Read about the book from a teacherly point of view at Reading, Teaching, Learning, or from a mom’s perspective at Everyday Reading. Come join the Sharp-Schu Book Club on Twitter on Wednesday, September 25th to talk about Journey and ask Aaron Becker questions! If the art is what grabs you in Journey, check out Becker’s guest post on Gurney Journey to find out how he did it. 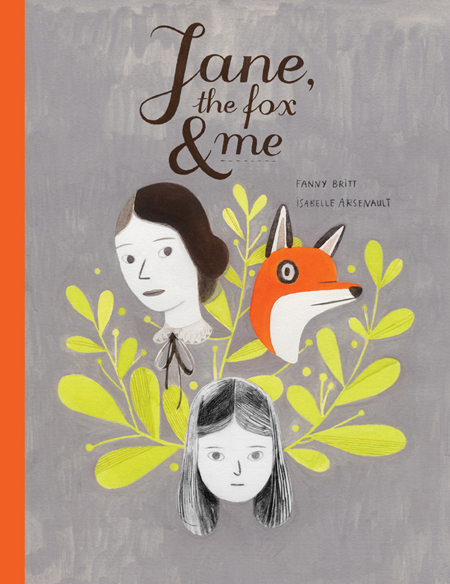 When Elodie sets out on her own at twelve, she knows that it will be at least ten years before she sees home again. The only apprenticeship her family can afford is the kind that Elodie will purchase with ten years of service. It’s a long time, but Elodie has a plan to make it pass in a flash: though her parents believe that they are sending their daughter away for a weaving apprenticeship, Elodie intends to apprentice with an acting troupe, and fill her years with adventure. Unfortunately, Elodie learns too late that the ten-year apprenticeships have been abolished. In order to find a home and work for herself, she’ll have to either convince a master to take her on for a much longer apprenticeship, or find a way to pay for a shorter one. Enter Meenore the dragon, who needs an apprentice to announce ITs detective skills in the market, and perform other sundry tasks around the lair. Their first big case comes from the unpopular owner of one of the story’s two castles, the ogre Count Jonty Um, whose dog has disappeared. Though Jonty Um is kind and hospitable, the villagers hate and fear him, and the Count worries that something terrible has happened. When Elodie movies into the castle under the guise of a servant, she discovers that there is far more going on than the loss of an animal. Between Elodie’s acting and observation skills, and Meenore’s detective savvy, the pair soon has a list of suspects, from the handsome cat trainer in the village to the dreadful king who owns the second castle. But they may already be too late. 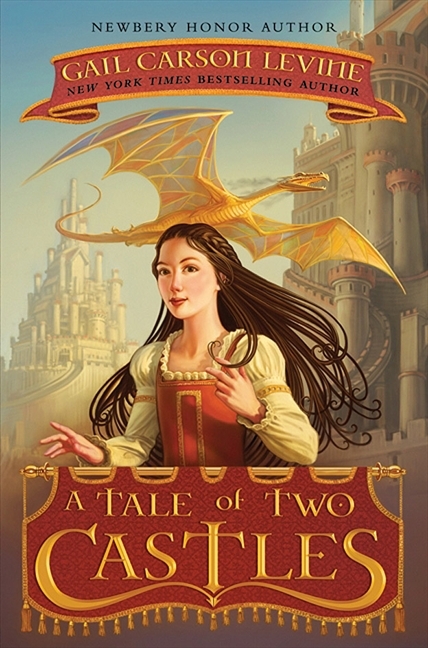 A Tale of Two Castles is a clever and satisfying story recommended for readers who enjoy fantasy-laced mysteries and twisted fairy tales. Read other reviews at Miss Print and The Reading Fever. Revisit the fairy tale that inspired A Tale of Two Castles (it may surprise you!). 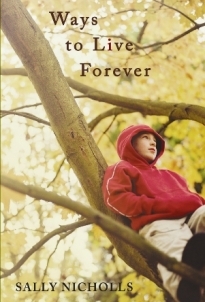 When he is eleven years old, and dying of cancer, Sam decides to write a book. Nothing big — just his own story, and his favourite interesting facts, and the questions that he wishes someone would answer (but no one ever does). Instructed initially just to “write something about yourselves,” Sam discovers that this is a great way to process how he, and the people around him, respond to the expectation the doctors have given that this will be his last battle with cancer. Sam is particularly fond of lists, and one — an assignment to describe things he’d like to do — ends up providing the central thread through his book. Sam lists eight things that he’d like to do, without believing that any of them is really possible. When his friend, and fellow cancer patient, Felix, challenges him on that, Sam sets out to complete his list. Some are relatively easy: while his mom is busy shopping one afternoon, Sam sneaks off to trek up a down escalator. Others take creative interpretation, like the World Record Setting Occasional Wardrobe Nightclub. And at least one requires the help of his dad, who’s had a hard time believing that his son really won’t be healthy again. 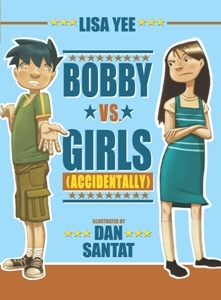 Sam’s story is sometimes intense, often funny, and always very personal. Sam and his family and friends are fully-realised and complex; together they provide an engaging picture of one child’s death that avoids cliché and manipulation while suggesting how others in a similar situation might feel. Sam shows fear and anger, and determination and humour and curiosity. His mother is weary and grieving and expects homework and manners while understanding that sometimes going sledding together is more important than responsibilities. His father denies, and loves, and does what he can to help his son to do something silly and improbable and somehow deeply important. If you’re looking for a novel that is honest and moving, this is one to find. Find more reviews at The Weaving Knight and Inis Magazine (the publisher’s website also offers a collection of journal reviews). Watch the trailer for the (so far) limited-release film based on the book. Explore the website to find out how the makers hope to use the film to help fight childhood cancer.